Homeowners make a choice as to what kind of lawn mower they want to purchase, often based on the size lawn they have. One of the considerations is whether to get a mulching mower or a side-discharge mower. Thankfully, some mulching mowers have the option of discharging from the side and side-discharge mowers that use a cover over the discharge. Manufacturers create the mulching mower a little differently than a regular mower. Both mowers work well to cut grass when it is not wet and not too long. Only the top third of the blade should be cut at one time. The remaining lawn should be long enough to continue photosynthesis. Grass cut too short will often dry up under hot conditions. Extra tall grass will leave large amounts of debris on the lawn, choking out the grass below. A mulching mower uses very sharp blades and suction to cut the blades of grass and then hold them in a slight vacuum of suspension to be cut again several times into smaller and smaller pieces. The small pieces of cut grass fall into the lawn and decompose into organic matter in the topsoil. A regular side discharge blower cuts the grass quickly in one pass and throws it out the discharge. The size of the pieces are often long and they tend to lay across the top of the lawn where they dry out. The dried cut grass will decompose but it takes a little longer as the pieces do not fall down into the base of the lawn. Residual cut grass might bother some people who like a uniform cut look and not trails of dry grass on their lawn. A mulching mower does well at cutting and mulching grass cut at regular intervals but the blades tend to get dull faster. Since the grass stays under the mower a little longer than a side-discharge mower, wet grass easily builds up and sticks to the inside of the mower housing. You will end up leaving wet clumps of cut grass on the lawn, even more than a regular mower. 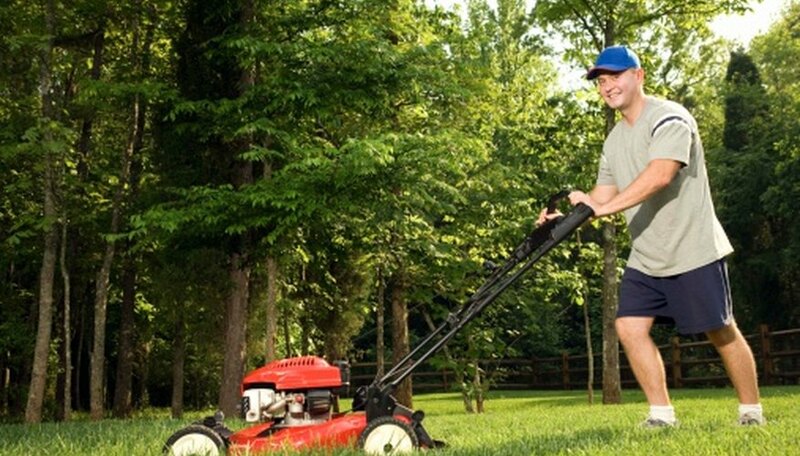 How Often Should You Sharpen a Reel Mower?